Don't Let Rain Damage Your Bristol Home Our Crew Is Here To Help! Contact us at our emergency services line, (423) 245-5552, which is answered 24/7, year-round. During the spring months, Bristol receives a large amount of rain. While this precipitation benefits our lawns and gardens, small gaps in your roof can let this rain slip into your attic and cause problems. Gutters that have become misaligned can also send water up against your home, saturating siding and other sections of your home that allow moisture to pass through into your living space. SERVPRO wants to assure homeowners that we have the proper equipment, skills and experience, and dedication to rid Bristol houses of water damage and its effects. We know how to use highly effective methods of mitigation to stop moisture from damaging unharmed areas of a home while restoring areas that already succumbed to the effects of exposure to moisture and water. Because moisture travels easily and rapidly inside walls, this moisture can also end up behind cabinets, as well as underneath these structures. We use thermal imaging cameras to find such places. Cabinets are only one location that water tends to hide. We also find hidden water in other places. Your walls that form a barrier against the outside contain insulation to keep the environment inside your home under control. When this insulation becomes wet, it loses the ability to keep warm air where you want it, allowing the energy to pass through the wall. Hollow walls inside your home that separate rooms and hallways often do not contain any insulation. The drying process for these walls occurs much faster because we do not need to extract any insulation. Ceilings can also end up not only saturated with moisture but used as a holding basin for unwanted water. When moisture invades a ceiling, it can leave a stain. Discolorations can take a while to develop. A sudden change in a ceiling's shape, however, can mean water from a storm is pushing the center of the ceiling down with its weight. SERVPRO of Kingsport / Bristol can help you protect your home in Morrison City, Colonial Heights, or Walnut Hill from the many different effects of water damage. Contact us at our emergency services line, (423) 245-5552, which is answered 24/7, year-round. Click here for more about Bristol. We have the equipment, experience and expertise to restore your home after a flooding disaster. 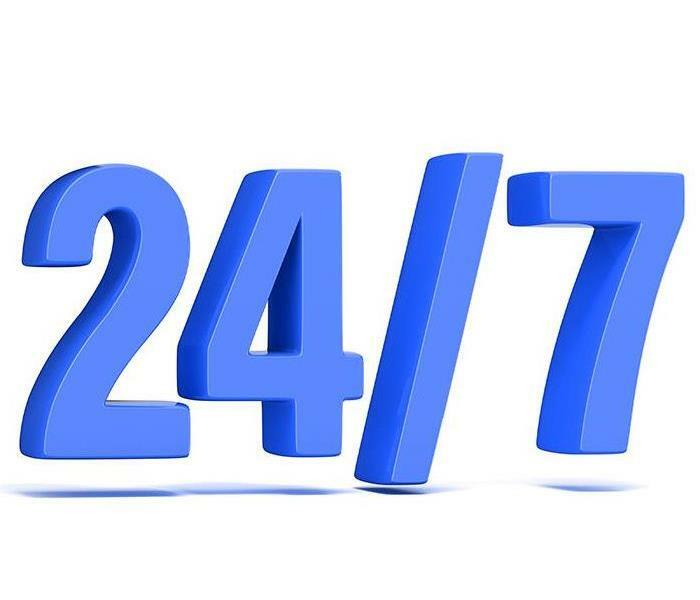 We are available 24/7 so call us right away. During the spring, thunderstorms tend to plague the Kingsport region often causing issues with your property and house's structure. Many times flood damage goes unnoticed especially if it happens when nobody is present at your home. Several of the situations our SERVPRO technicians handle regularly involve incidences where the water has receded, but many of the house's contents and structural components are still wet. Damp materials inside a building can cause elevated humidity levels which can create a situation where moisture spreads throughout the home and affects more areas over time. If organic materials are affected during your flood damage scenario, then it is possible that mold can develop. When working on most storm-related projects, our SERVPRO crew starts by extracting any water while it is still in its liquid form. However, if most of the water is gone once we arrive, then the focus of your flood damage project in Kingsport changes to structural drying. During the drying process, we attempt to create an environment that speeds up the natural evaporation process. We do this by setting up large box fans and air movers to create air movement as well as implement dehumidifiers to reduce humidity levels. If there is a large amount of moisture that has soaked into your building materials and contents, we can set up more dehumidifiers that will help pull moisture out of the affected items. When it comes to dehumidifiers, our SERVPRO technicians have the option to utilize either a refrigerant or desiccant type machine. Refrigerant dehumidifiers pull wet air past a cold coil which causes the moisture to condense and turn back into a liquid. These systems work best to remove surface moisture and to dry wet materials that are moderately to highly porous and permeable by water and air such as carpet, pad, and drywall after flood damage. Desiccant dehumidifiers pull wet air across a silica gel that attracts water molecules. These systems get utilized to help dry out materials that are dense and have low porosity and low permeability like hardwood floors, framing materials, and concrete. If your contents or building materials ever get wet after a storm, call SERVPRO of Kingsport / Bristol at (423) 245-5552 24 hours a day. Click here to sign up for the Kingsport Parks and Recreation summer program is open to children ages 6-12 years old. When materials combust they release particles, gases, and aerosols into the surrounding environment. During a fire, gas like carbon monoxide and hydrogen cyanide can be lethal. However, once the materials have stopped burning they disperse into the surrounding atmosphere and no longer become a threat. What tends to remain are solid particles and aerosols in the form of soots and smokes. These can absorb odors, become an irritant if inhaled and are extremely small (.1-.4 microns); making them difficult to clean. Needless to say, after a house fire you need professional assistance to tackle odors and soot deposits. A property that has signs of fire damage in Bristol or the surrounding area can rely on us to get their home back to preloss condition whenever possible. The solutions are usually two stages, with the first relying on removing soots and the second tackling odors, which also involves restoring your indoor air-quality. SERVPRO can mobilize our local technicians adept in odor control and property remediation. 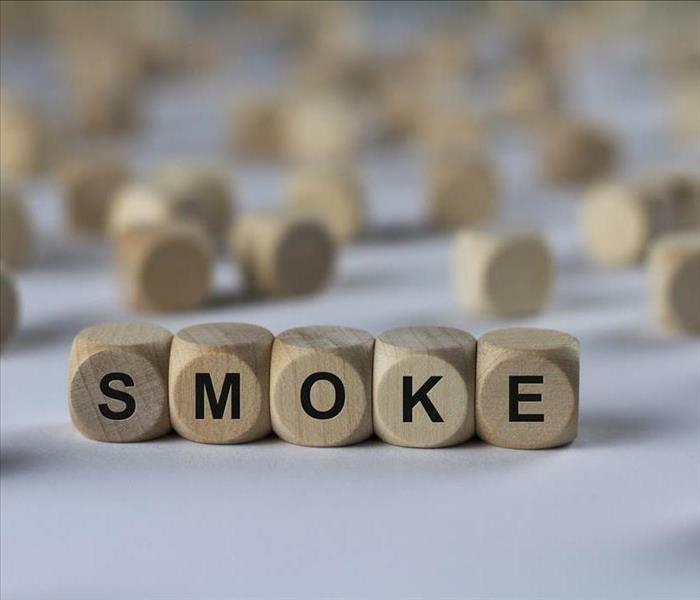 Smoke that settles on a surface, such as upholstery or table-tops, is considered soot. During the firefighting procedure, water can make soot set into porous materials- particularly fabrics. SERVPRO technicians can deploy a foam cleaning method which helps to draw soot from fabrics rather than risking permanent damage by scrubbing soots deeper into materials. Our Esporta washing system at our facility can be used for off-site cleaning when needed. If an odor remains after using air scrubbers, SERVPRO can fumigate the property using water-based thermal foggers. This equipment vaporizes solvents and releases them into the property. Since the vapor mimics smoke, it can help to find sources of odor and neutralize them. Foggers are typically non-harmful to inhabitants of the property. A house fire can feel overwhelming, contact SERVPRO of Kingsport / Bristol at (423) 245-5552 for help. 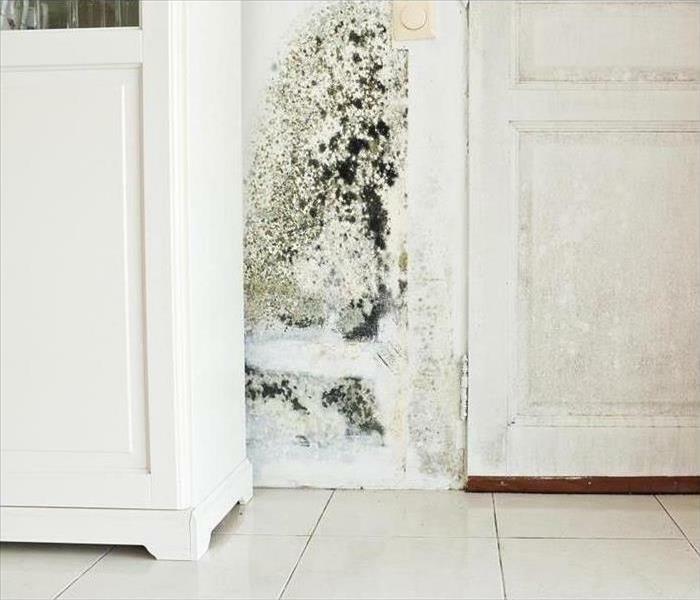 While there are many potential threats following a flood in your home, avoiding secondary effects like mold growth can help to protect your property. There are immediate effects of flooding in your Bristol home, and there are circumstances and threats that can develop several days later when the damages persist on the property. A strong way to avoid these potential secondary effects that can occur later is to reach out to professionals like ours as soon as an emergency like this occurs. Our specialists are available 24/7 to respond to flooding emergencies with the experience and equipment to make a difference quickly in your damaged home. While there are pressing flood damage concerns for your Bristol home, we also have to employ effective strategies to limit these dangerous secondary effects like mold growth that can threaten the property and its occupants. Our SERVPRO professionals have moisture detection equipment that can help us to identify the potential problem areas that require focused drying efforts. By alleviating this lingering moisture, the possibility of effects like mold growth can become substantially reduced. When our crew arrives at your property, we work to remove the excess water from your damaged property using one or more of several advanced tools that we have stocked in our production truck. From gas-powered pumps and portable sump pumps to extraction wands and weighted extractors, we have all of the equipment to quickly remove excess water from carpeting and other materials throughout your house. TO prevent situations like mold growth, our SERVPRO professionals must reduce the overall moisture content throughout the property as promptly as possible. Mold colonization cannot occur without damp conditions to facilitate the seating of mold spores in the environment. By reducing moisture content, our team can effectively limit possible fungal growth. We can ensure avoiding this concern by also spraying potentially exposed structural elements and materials with our antimicrobial solution. This spray makes materials uninhabitable to mold spores. While there are many potential threats following a flood in your home, avoiding secondary effects like mold growth can help to protect your property and your family. Give our SERVPRO of Kingsport / Bristol rapid response team a call anytime at (423) 245-5552. 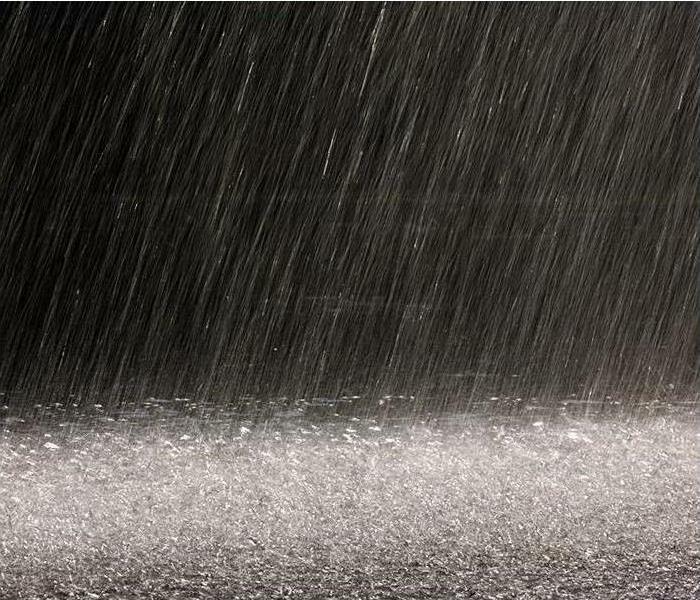 Areas where torrential rains happen annually commonly see standing water, requiring water removal from your home. It is normal for a house to be built with a bit of space between the footer and the poured basement. When excess water collects under your home, however, it can create musty smells in your basement and seep through small cracks in the slab. Areas where torrential rains happen annually commonly see standing water, requiring water removal from your Bristol home. In some soils, clay holds more water than in other soils. When it becomes saturated from heavy rains, this can create pools of water underneath your home. Standing water can also be the result of poor surface water drainage. When standing water is a problem in your home, you need assistance from a professional water removal company like SERVPRO. We arrive at your home promptly to get all the water out from under your home and repair any damage that is present. Surface water can run back toward your home when it is not diverted correctly from your foundation and structure. Downspouts which are not angled to move water away from your home and are not connected to a drain pipe make water run towards your home. Patios which are not angled away from your foundation cause water to collect under your home and lower spots in flower beds next to the foundation can also add to the problem of standing water under your home. Many issues can be created from standing water under your house if it is a problem which is reoccurring or if the area of standing water is large. Water should first be discharged, which usually requires a sump pump. When standing water is a regular problem under your home, structural problems can pop up, and you can have a loss of foundation stability. The water can also lead to mold problems if left untreated. 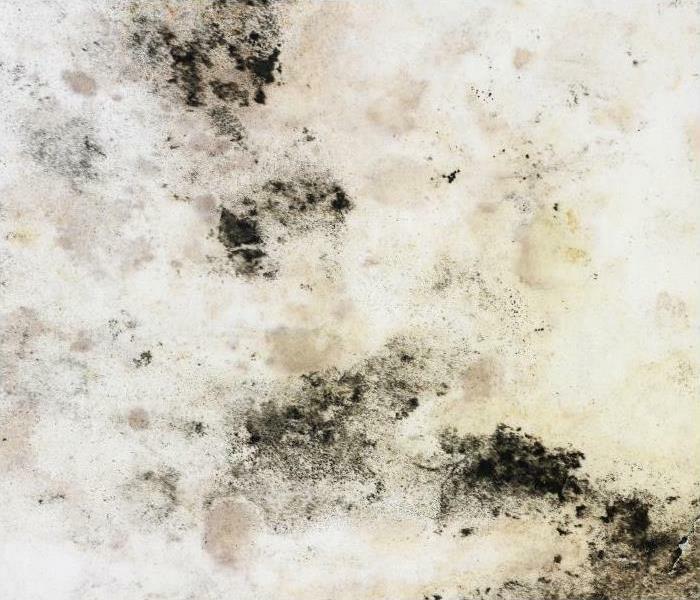 Mold affects the quality of your indoor air negatively. Water and moisture under a house can attract bugs as well, which may mean they can enter your home through a crack in the foundation. SERVPRO can work with a foundation repair specialist to fix any damage to your foundation that the standing water may cause, along with helping you get the water out and drying the area thoroughly. If there is any mold growth, our technicians also clean that for you and sanitize the area with special cleaners. SERVPRO of Kingsport/Bristol is ready to help you with water removal from under your home. Just give us a call at (423) 245-5552 so we can quickly come to your home and prevent additional damage. Visit http://www.bristoltn.org/ to learn more about the city of Bristol. Fires are very destructive. Contact SERVPRO to prevent damage or when dealing with the aftermath of a fire. It is unlikely that any residents of Bristol will forget the heartbreaking events of the fall of 2016 when wildfires destroyed vast areas in the Great Smoky Mountains. No one wants the challenge of such of a disaster, but all of us can learn a lesson from the experiences of those who made it through that crisis. We suggest an assessment and development of a fire damage recovery plan with the help of our trained managers and our unique mobile app. Both commercial and residential clients can take advantage of our expertise in preventing and preparing for fire damage in Bristol. The aftermath of even a minor fire is stressful, and you as a homeowner are rarely experienced in the practical and emotional ramifications of such an event. We have built a rich knowledge base over the years of restoring fire damaged dwellings for other members of our community. Make use of our familiarity, training, and skills, and ready yourself for a problem you and we both hope you never encounter. The SERVPRO Emergency Ready Plan and Profile (ERP) encourages you to take stock of your situation before a disaster happens. 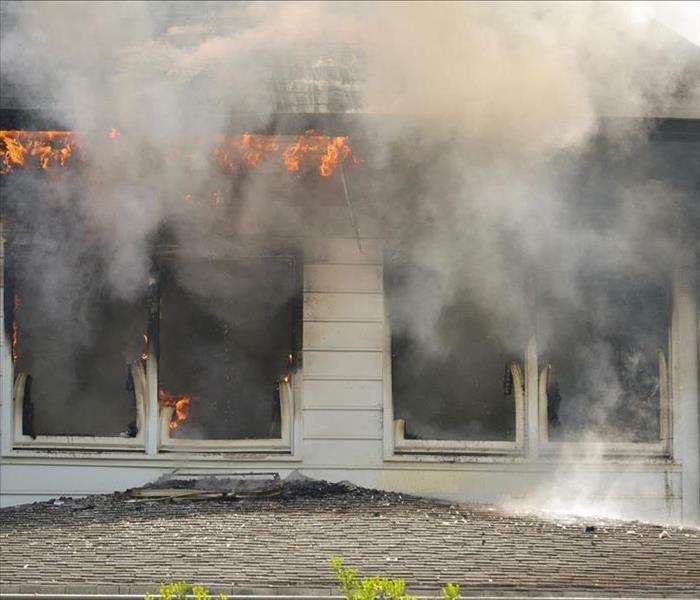 We help you assess your property and work out many of the logistics we need to master to deliver fast and efficient fire damage restoration if a blaze occurs. You assist us and also improve the odds of a successful fire restoration effort by creating a layout of your property, identifying the location of utility shutoffs, and clarifying a chain of command should you be unable to respond yourself. You can designate another person to act on your behalf in the plan, helpful if you are injured or out of the area when the fire crisis occurs. 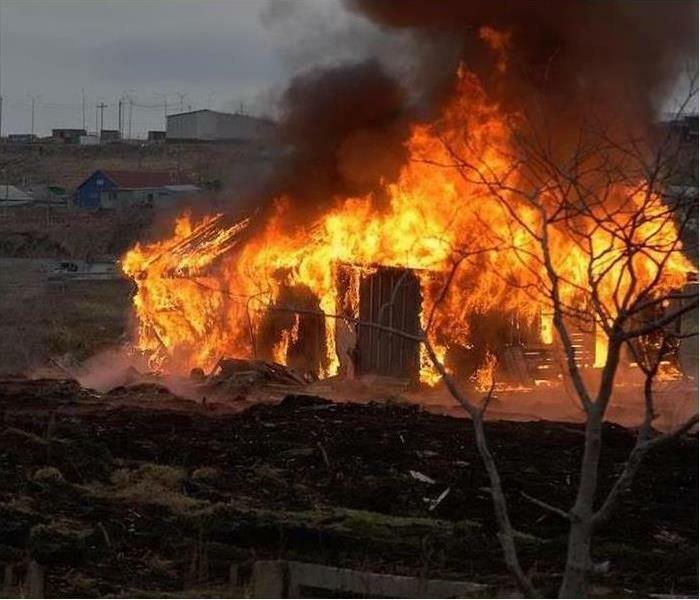 This precaution is if you spend any time traveling or just as insurance if you think it possible you may have an issue with clarity of thought after a fire damages your property. Making decisions ahead of time helps SERVPRO follow a well-thought out plan rather than waiting for your instructions after a frightening event like a fire makes it hard for you to respond. SERVPRO of Kingsport / Bristol wants to be certain our efforts always lead to the outcome you desire. Give us a call at (423) 245-5552 to schedule an assessment that will help us collaborate on an Emergency Ready Plan to protect and restore your property. Mold is not always easy to detect, call SERVPRO to inspect your home for hidden mold. Mold is often undetectable in Tennessee homes until it has become a significant problem. Not every type of mold has that distinctive, ‘musty’ odor and if the growth started behind a wall or in the attic, the smell is not noticeable until the mold has grown into a large colony of spores. Restoring a Bristol home of the effects from mold damage is a task that needs a professional service. SERVPRO keeps a trained crew on 24-hour notice to support our neighbors and customers. We have some of the best-trained personnel in the industry to clean mold from the property and safely remove it from each home. Porous surfaces are typically building materials and fabrics; drywall and upholstery for example. They are often cleanable, but if the mold is very thick or has grown into the material, we dispose of it. Our cleaning methods for these surfaces involve vacuuming them with special HEPS filters that catch tiny amounts of loose mold, even a single spore. Returning your home to its pre-mold condition is not a quick or easy set of processes. SERVPRO of Kingsport / Bristol has years of experience in helping our customers through each step to put you back into your home. If you need us, call (423) 245-5552 today to set up an inspection. You can learn more about Bristol at http://www.bristoltn.org/. 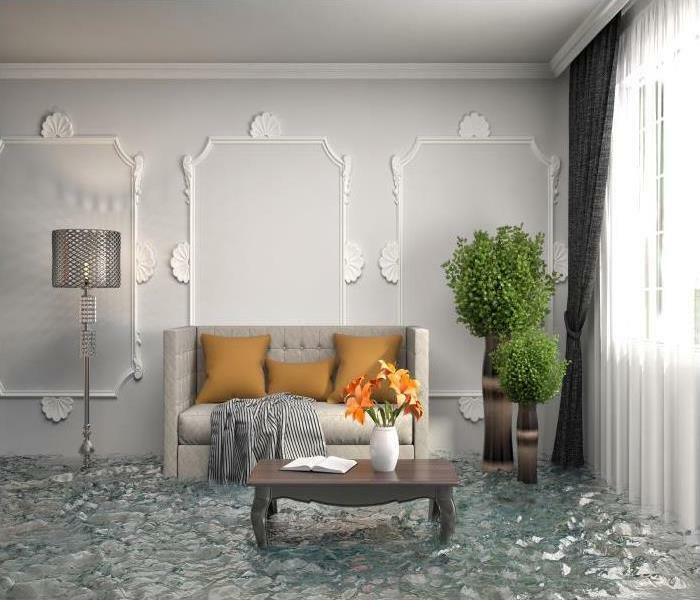 Don't stress about water damage in your home, call SERVPRO for help today. After an inside plumbing disaster, Bristol homeowners need more than simply using a water-vac to pull water off the floor, open the doors and windows, and rent a rug shampooer from the local big box store. To completely restore a home takes a professional restoration service. Drying out a home with water damage in Bristol requires attention to four key factors that affect humidity. SERVPRO restoration specialists train to analyze each one, so they know which drying methods and equipment they need to use in each home. It all comes down to HEAT. Humidity levels are determined by the level of water vapor in the air in a home compared its capacity. A level of 60 percent or higher indicates the air is saturated. That greatly slows evaporation and increases drying time. Specialists use dehumidifiers to reduce the humidity level in each affected room. Properly working dehumidifiers can lower the level up to 20 percent every 24 hours. Evaporation is the natural process of water converting to vapor. With large amounts of water, it is very slow. Our SERVPRO specialists use pumps and smaller extraction devices to remove the bulk of the standing water. Once they get the amount to less than two inches in depth, the rate evaporation rapidly increases. They can also augment the rate of evaporation with dehumidifiers and using exhaust fans to increase movement, forcing saturated air outside the home. Air Movement can also be increased using air movers to force warm, dry air throughout affected rooms and across damp surfaces like walls, tables, and countertops to gently increase the rate of evaporation as well. The combination of air movers and fans to increase air movement is also very useful to dry out clothing in a gentle manner which does not damage the fabric. Temperature is also an important factor, especially in cold weather. Since the preferred range to dry home and property is 70 to 90 degrees, we try to engage the HVAC system if it is operational carefully. If not, then specialists use space heaters to raise the internal temperature. They carefully monitor the temperature in every affected room to keep it under 80 degrees on the first day; however, since a higher temperature can increase the humidity. At SERVPRO of Kingsport / Bristol, we use every tool and method available to return every residence to a dry, safe condition for families to live in once again. If you have had a recent water issue in your home, call us at (423) 245-5552 to schedule a visit. We are here for you. If you have suffered from a fire call our team right away and we will help you prevent secondary damages. We are available 24/7 for your restoration. Most fires in a Kingsport home are usually small and restricted to one area like the kitchen with smoke and soot spreading out into the nearby dining area. In a smaller percentage of fires, however, physical damage can be severe and require additional steps to secure the home from further damage to even begin repair and restoration. SERVPRO restoration teams can provide a series of emergency services designed to prevent secondary fire damage problems in Kingsport homes. They extend far beyond just boarding up doors and windows, taking care to keep the interior safe for the owner to occupy where possible and for our technicians to work. 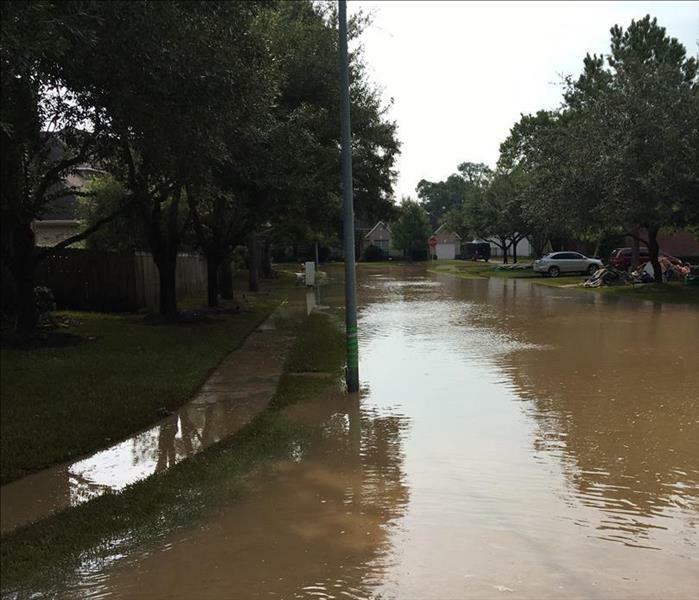 At this time of year, flooding can still be a problem. Most water intrusion comes from inside the home though, so our teams examine the homes to ensure the plumbing leading into the home is insulated. If it is possible to restore electric and gas service, technicians work closely with the owner and the utility company to help bring the lights back on and heat throughout the home. As they help get utilities restored, other SERVPRO team members remove all damaged property for disposal. Quick removal allows our inspectors to perform a thorough exam of the structure and determine what the team needs to operate and what to start on first. It also eliminates the source of many odors left behind by the fire. After removing the non-salvageable property, our teams set up exhaust fans to circulate the odor-filled air, forcing it outside the home. We do this to provide a better environment for our technicians, the owners, and insurance inspectors. Once the fans are in place, our teams remove property still restorable to an unaffected part of the home or another location for cleaning and repair. At SERVPRO of Kingsport / Bristol, our goal is to return you to your home as quickly as possible after a fire. If this is your situation now, call us today at (423) 245-5552 to get started on the process to restore your home. Regardless of the size of the fire damage, we are here for you. Click here to find more informaiton about what’s happening now at the Renaissance Arts Center & Theatre. 4/24/2019 - Don't Let Rain Damage Your Bristol Home Our Crew Is Here To Help!